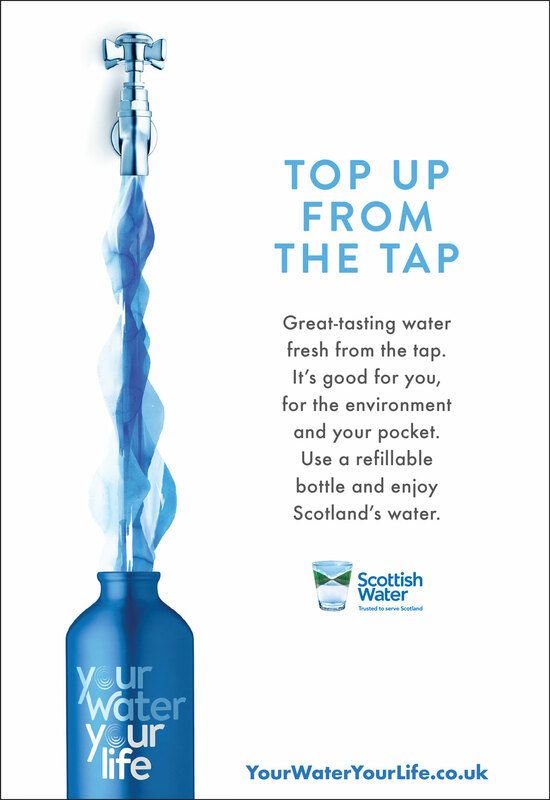 Advertorial: Scottish Water has announced plans to roll out tap water refill points in every local authority area around Scotland over the next two years. Under the initiative, councils are being consulted to identify the best locations, with the aim of having the first ten Top-up Taps installed by the end of March, 2019. The move follows the launch earlier this year of the Your Water, Your Life campaign in which the utility called for customers to drink tap water at home, at work, and on the move, as a way of reducing waste, saving money and staying hydrated. Edinburgh has been selected as the first location for a Top-up Tap, which will be positioned outside the Scottish Parliament. The other sites being considered for the initial roll-out include Glasgow, Ayr, Dumfries, Dunfermline, Fort William, Milngavie, Oban, Inverness and Aberdeen. The units will be fitted with technology that will enable them to digitally track water usage at each Top-up point, transmitting the data via cloud technology to specialists managing Scotland’s water networks. The resulting data will be used to calculate cost and plastic savings, along with the volume of water being consumed. The Your Water, Your Life campaign aims to make tap the first choice for water drinkers wherever they are, and encourages businesses to make it readily available for staff and customers. Zero Waste Scotland, Keep Scotland Beautiful and Scottish Natural Heritage, have also voiced their support. On average, a litre bottle of water costs about 65p, so topping up daily from the tap, could save £1.30 a day, nearly £500 a year.